The freshest watch to wear this season. 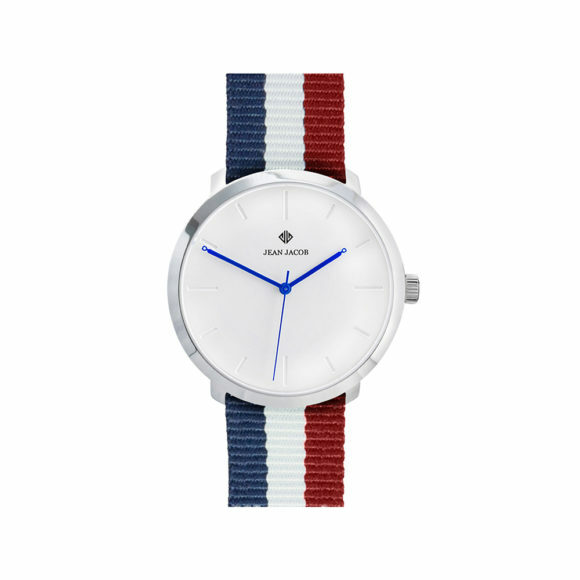 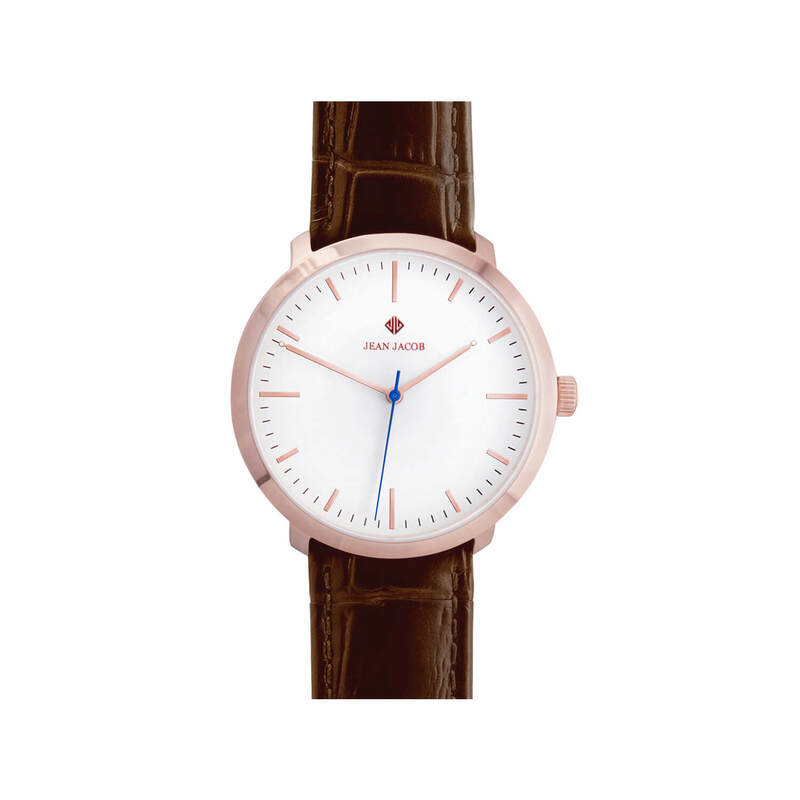 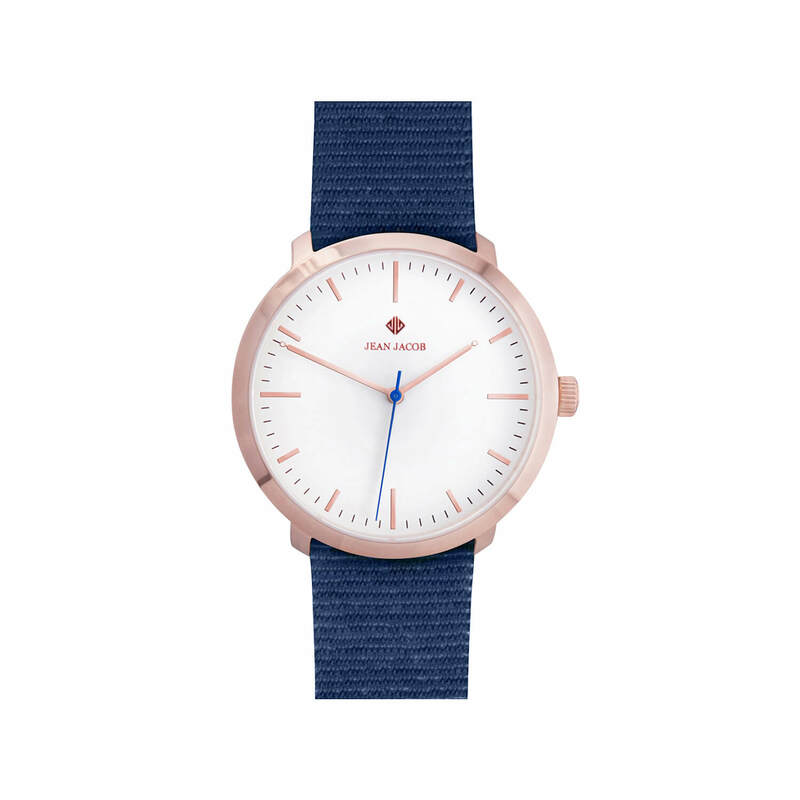 A minimalist modern unisex round 40 mm watch accomplished with a stylish NATO band in blue, white and red stripe. 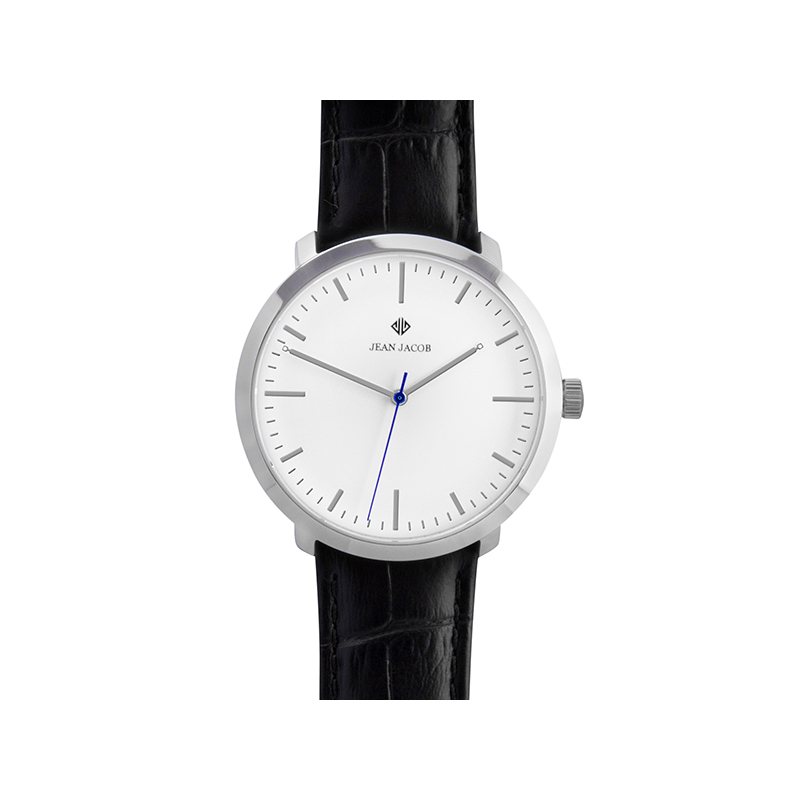 The JW-MSN1 Modern Paris has a 316L stainless steel polished case which is coated in silver. 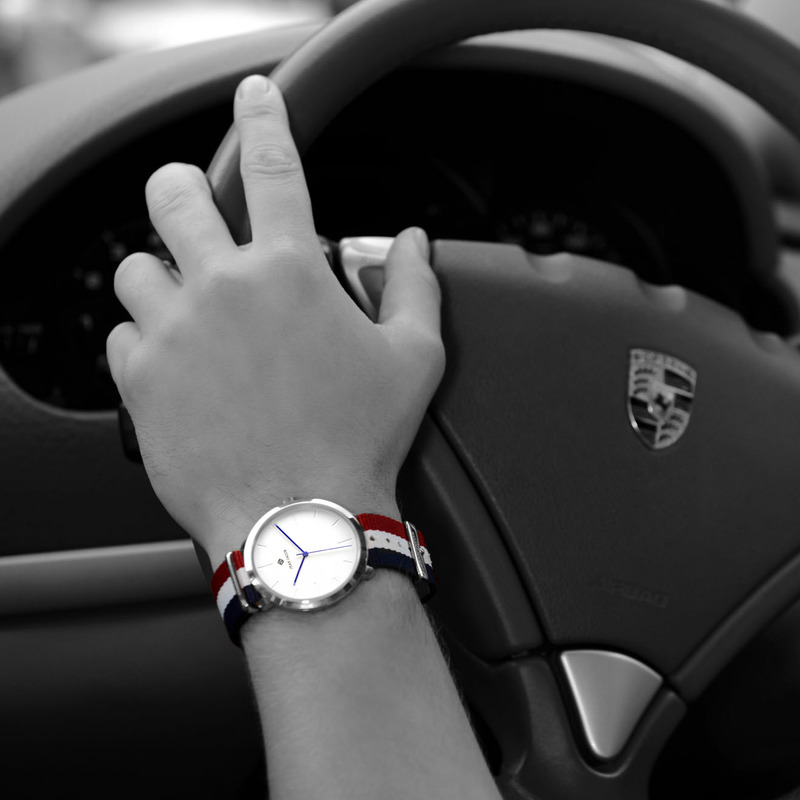 The white dial with its engraved hour indexes is accomplished with dark blue hour, minute and second hands. 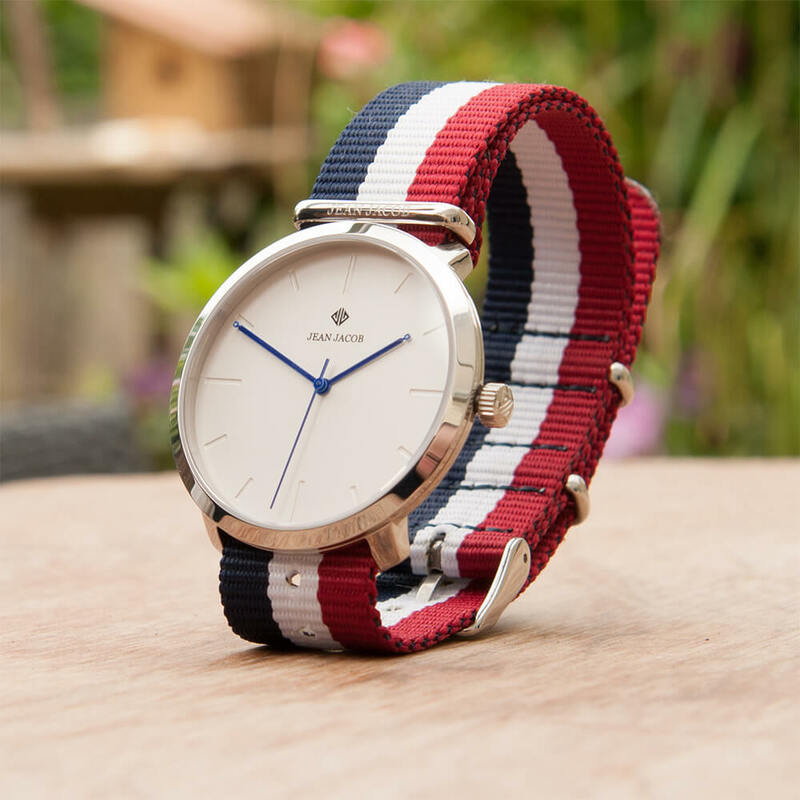 Slipping seamlessly into your life, this modern silver watch cater to any occasion or outfit whether corporate or casual.